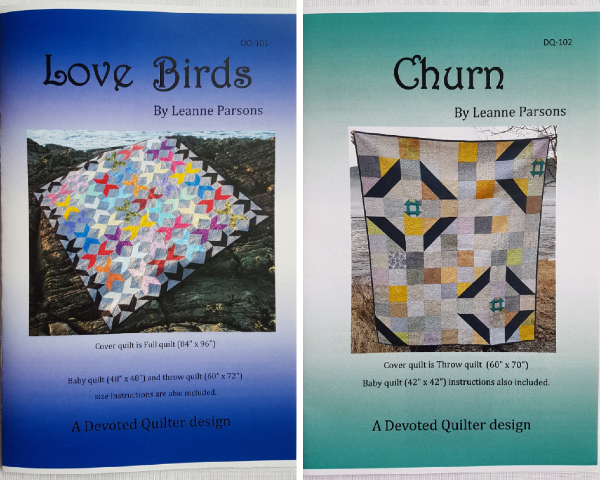 Thank you for your interest in Devoted Quilter patterns! Click here to view a pattern line sheet. 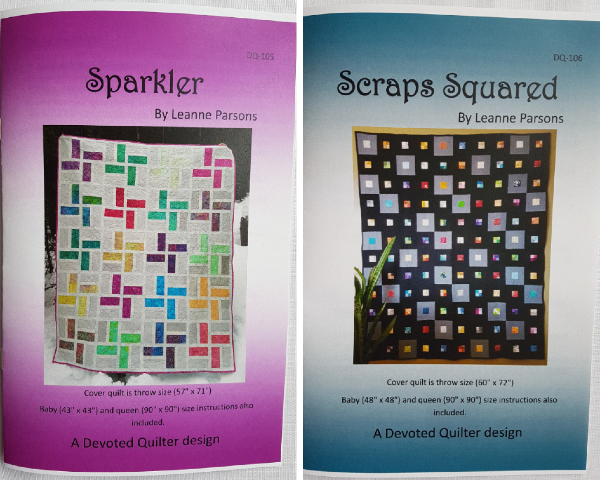 My patterns are professionally printed, booklet style and saddle-stapled, with the fabric requirements listed on the back of the pattern. They come packaged in clear plastic bags. Email me to order. 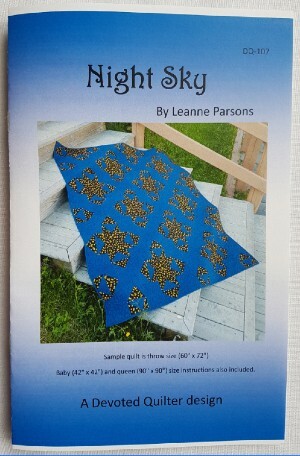 I have no minimum order, but orders of 15+ patterns ship for free. 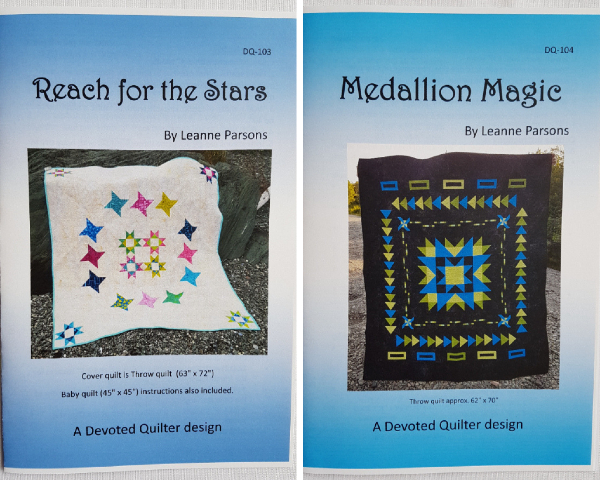 Be sure to sign up for quarterly email updates about new patterns! I look forward to working with you!